Inspired by The History Man's own Salsa El Mariachi, I bought myself a nice El Mariachi frame of my own. After keeping it in storage for over a year, I'm now officially starting the build with the arrival of the first batch of components from the internet If the weather allows, I'll use this to ride from Porto to Santiago de Compostela in the autumn, and if it works for me I'll use it for some longer events next year, perhaps even the Tour Divide if I get my act together. For the moment, I've committed to 29+ on the front with my Fargo V2 fork, and 29x2.35 on the rear. The 8 speed groupset will be nothing special, mostly spare modern bits I have lying around after other bikes got upgraded. The colour's pretty funky, but I may have it repainted in something extreme like a splatter job at a later date if I really like how the bike rides. 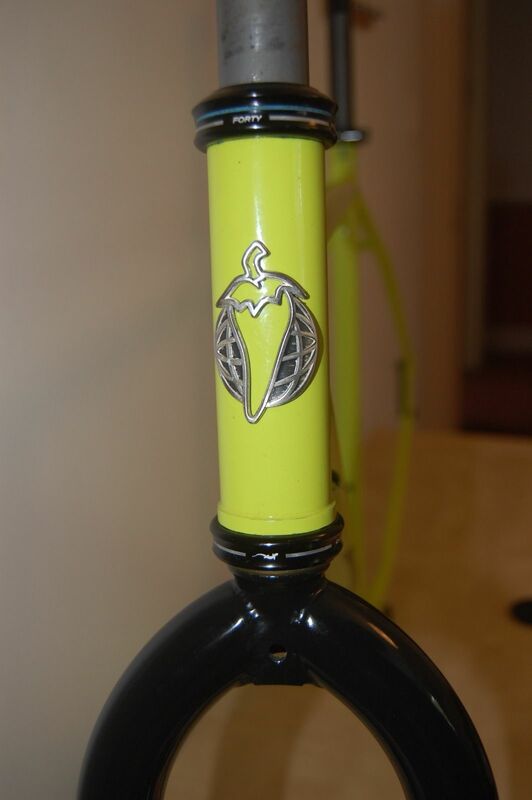 Below are some pics of the frame and fork. Checking in. I hadn't forgotten. 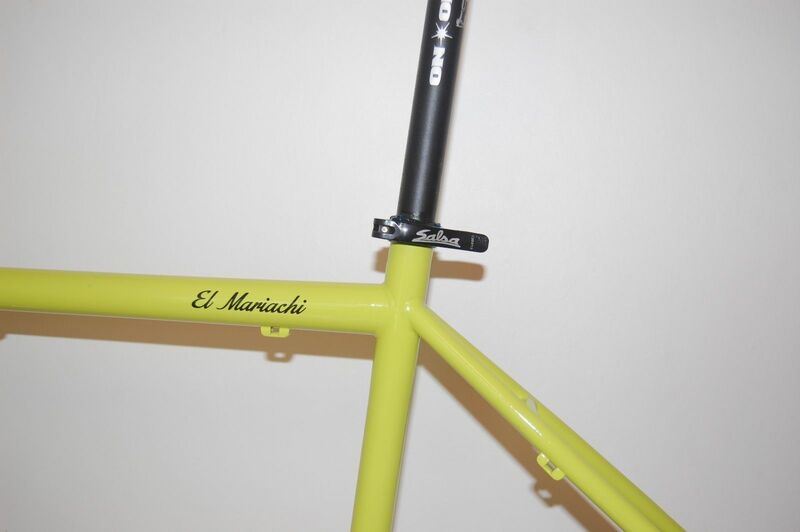 I was meaning to ask you, which front mech did you use for your El Mariachi? Checking in. I love my El Mar. They are awesome bikes. 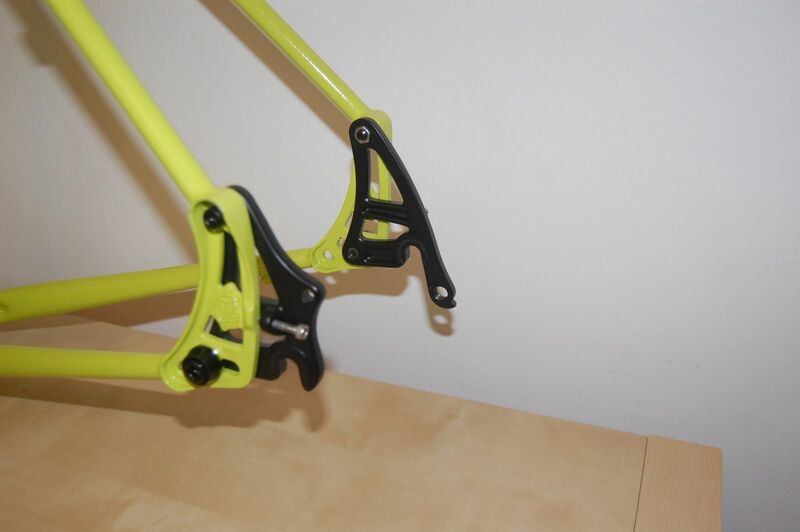 Super comfortable, responsive frame. Can be built up in a multitude of ways. Santiago de Compostela is on my bucket list, if you do the ride this autumn I'd love to see a thread on here. As it happens I was just downloading some GPS tracks for the route! Yes, I'll definitely make a thread here to document the trip. Just spotted this. Will check tomorrow. It sports an XT 9 speed triple mech.